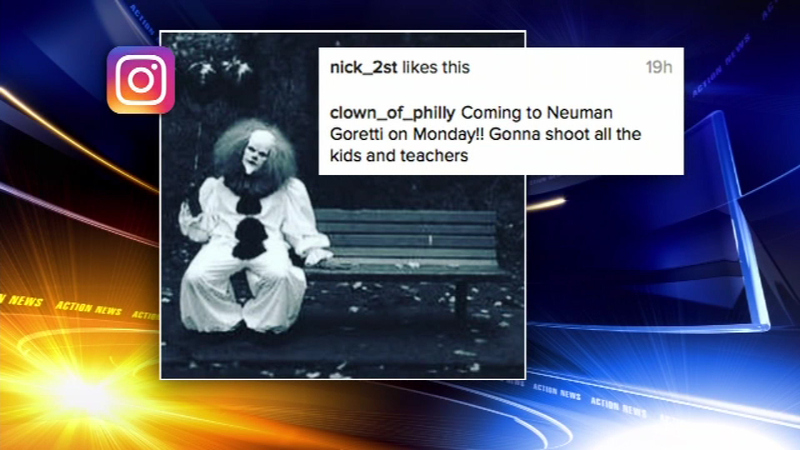 October 3, 2016: Concern about several clown-themed social media threats targeting schools in Philadelphia is prompting action by school officials and police. 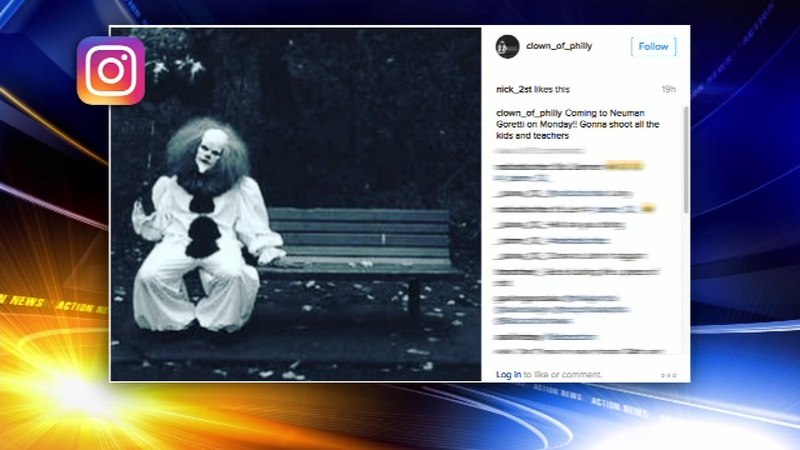 PHILADELPHIA -- Philadelphia police say they have identified a 13-year-old girl who made so-called "clown threats" toward local schools. The case is being forwarded to the District Attorney's Office, police say. Authorities say this investigation continues. 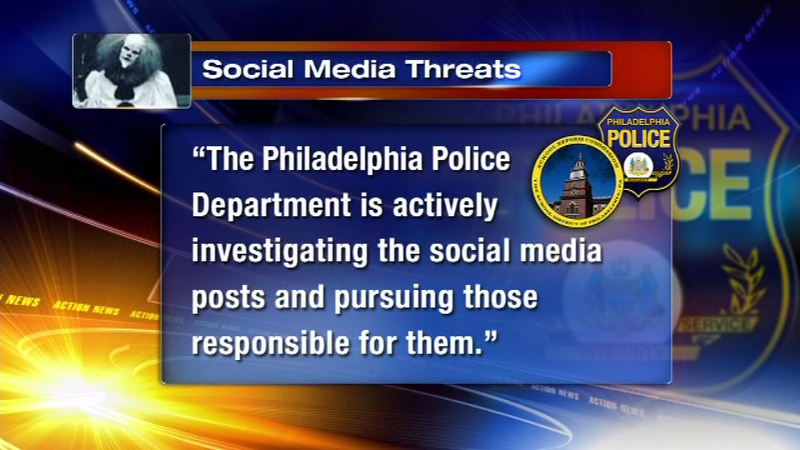 There were at least two accounts on which threats were posted. It wasn't immediately known if the teen was behind both accounts. 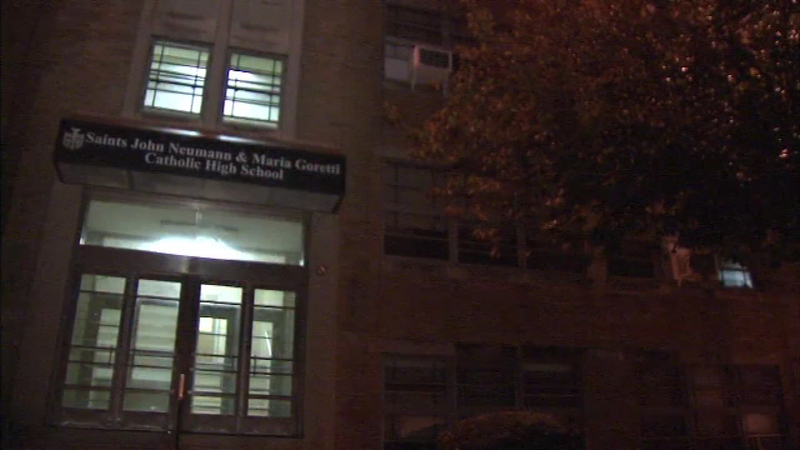 Parents were alarmed after learning several of the threats specifically mentioned Philadelphia schools. "That's disgusting," South Philadelphia resident Cathy Everett said. "That's very scary." 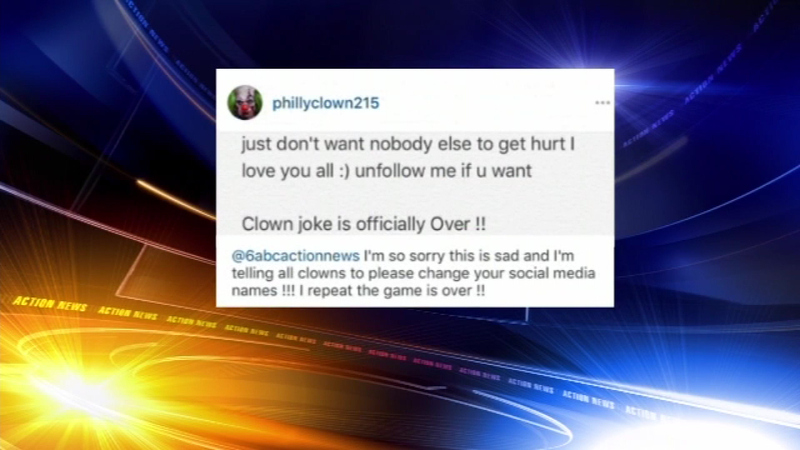 Those are some of the responses Action News received about an Instagram post made through an account called Clown_of_Philly. 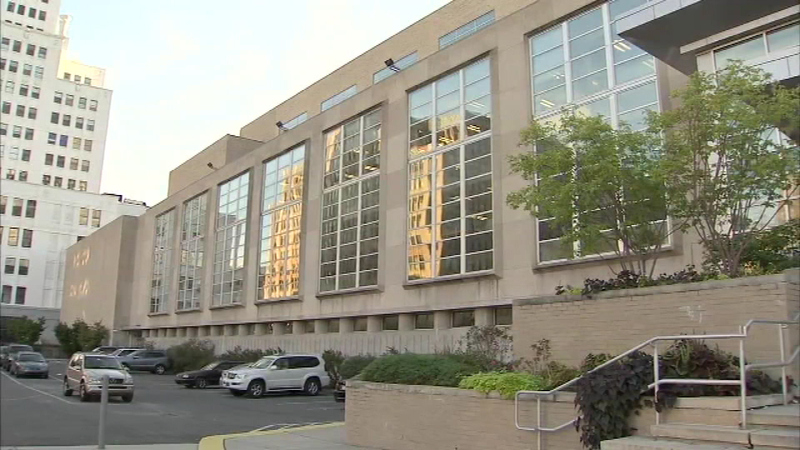 "I think they're very sick people," South Philadelphia resident Teresa Anastasio said. "Social media is getting out of hand now. We need to stop and think before we post stuff." The post, which appeared Saturday, warns of a shooting attack at a local school. It states, "Coming to Neuman Goretti on Monday!! Going to shoot all the students and teachers." By Sunday night, word had spread. 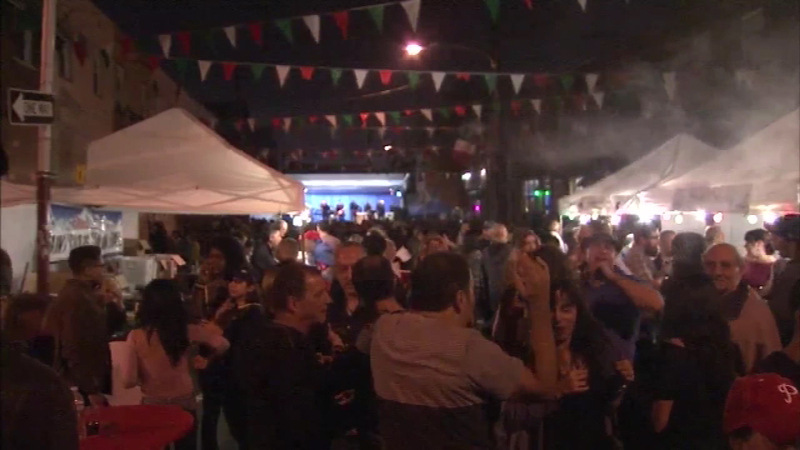 Action News sampled reaction at an Italian festival taking place a few blocks from Neumann Goretti. "I'm a little nervous," area resident Pete Sapienza said. "Once again, it's such a close-knit community that we don't let that happen." "Social media is getting out of hand now. 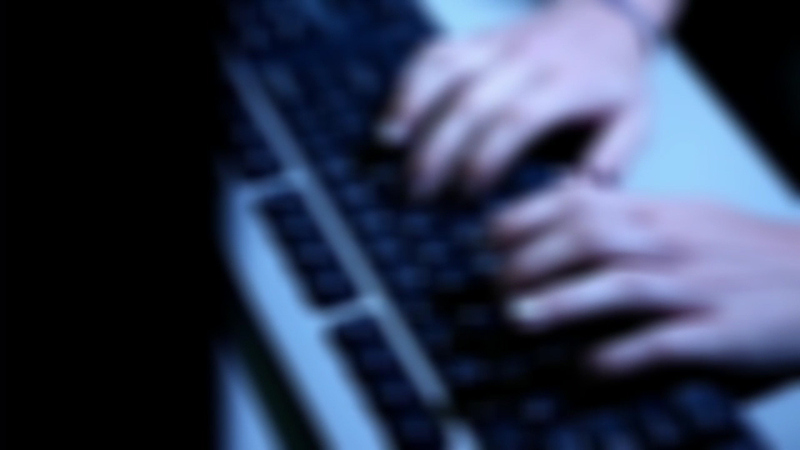 We need to stop and think before we post stuff," said Anastasio. Another post that was gaining momentum Sunday was from an account called phillyclown.215. 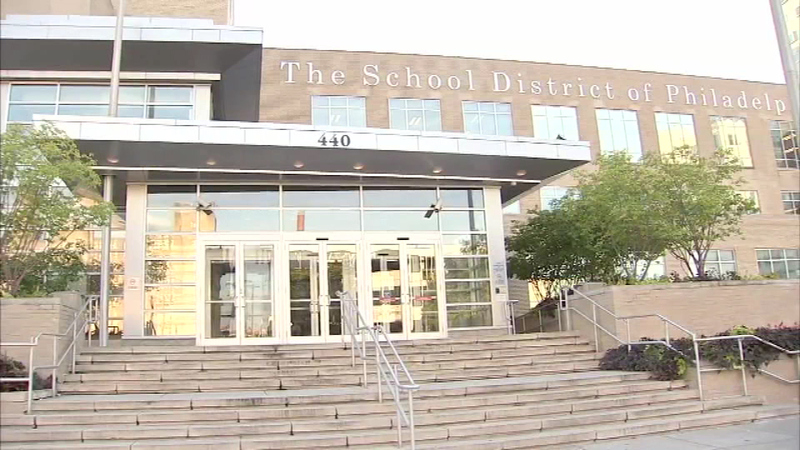 It threatened students at Northeast Charter High School. 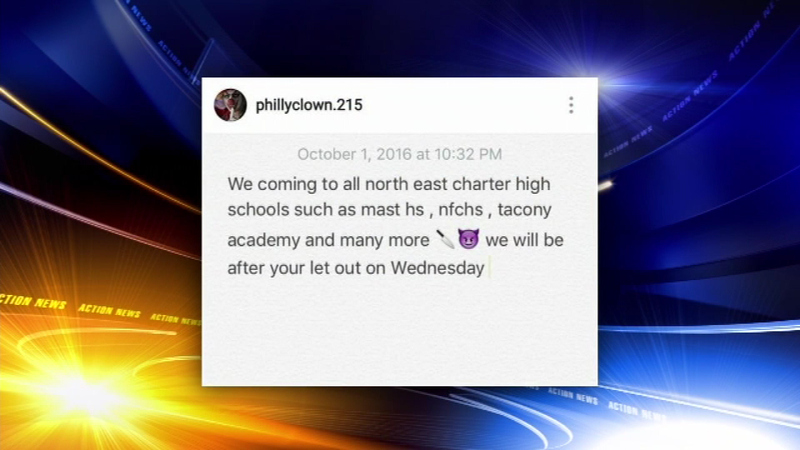 The post stated, "We coming to all north east charter high schools.... we will be after your let out on Wednesday." 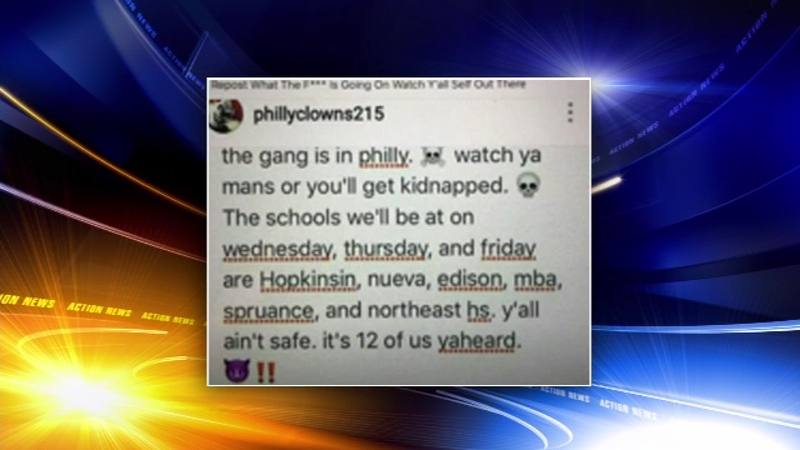 A second post from same the account says, "the gang is in philly..." and "ya'll ain't safe. it's 12 of us yaheard." But late Sunday or early Monday that account user posted again, saying "the clown joke is officially over." To school officials and police, none of this has been a joke. In the meantime, neighbors in South Philadelphia say they'll be keeping an eye out. "The neighborhood would never let it happen because it's such a close and tight community. It would definitely be stopped," said Sapienza. Anyone with information surrounding these posts should contact the Philadelphia Police Department at 215-686-TIPS (8477).